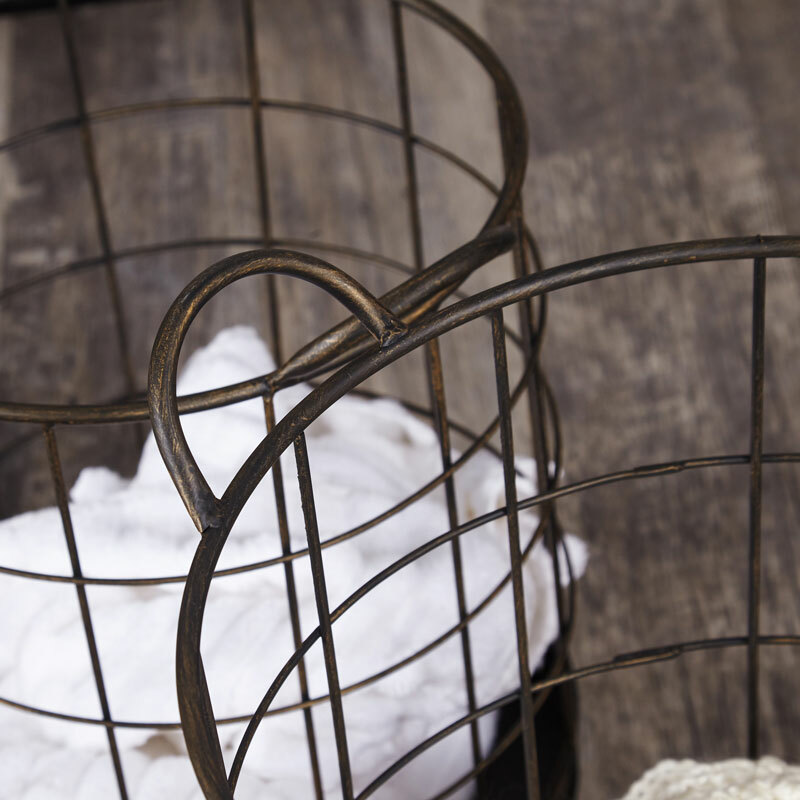 This large wire, metal basket if a perfect storage solution to add to your bedroom, bathroom or living room. 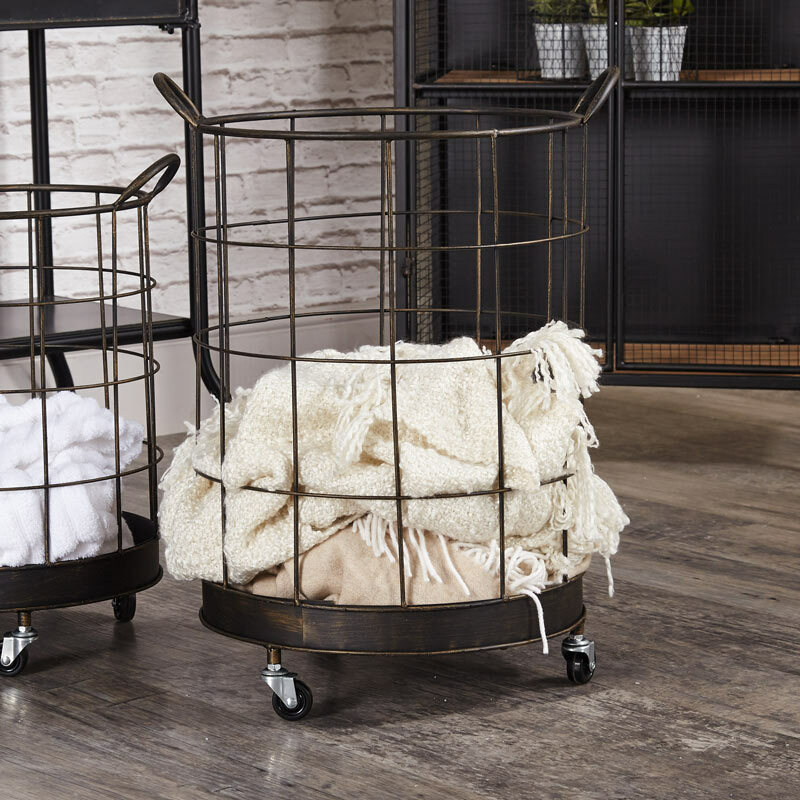 With an industrial look it is perfect to complement your rustic or contemporary decor whilst offering a great place to store blankets, books or even laundry. 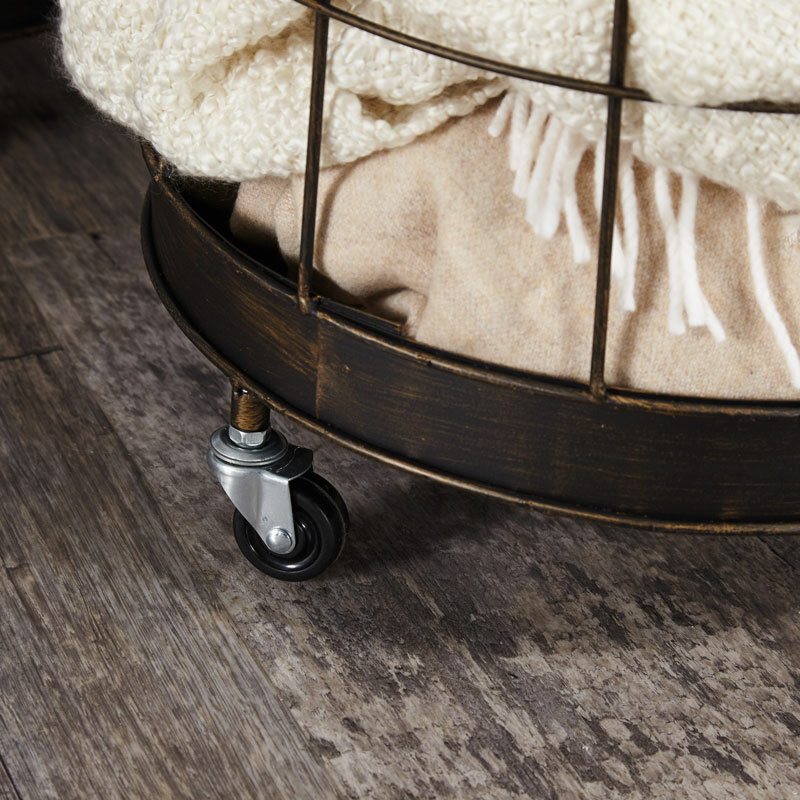 Mounted on 3 metal caster wheels the basket is easy to move if you are storing heavier items inside.